The Avonworth School District has a fantastic relationship with the Ohio Township Police Department (OTPD), the Ohio Township Fire Department (OTFD), as well as other local municipality support. The District has a Memorandum of Understanding with the Ohio Township Police Department that formalizes this support relationship. Included in the support that the OTPD provides is a school resource officer. Corporal Chris Simcoviak has served as the SRO for Avonworth for twenty years. He serves on the High School Student Assistance Team, The District Safety/Security Committee, facilitates the Elementary School DARE program, and provides safety support District-wide. The OTPD includes regular walkthroughs in all school buildings as a part of regular patrols. Students and staff are used to seeing officers walking through the hallways during the day and after school. The District has also provided maps of our schools to the OTPD and OTFD in case of an emergency. District has also labeled entrance/exits for easy reference for both departments. The Police and Fire Departments also provide feedback to the District through safety audits with how to improve safety in the buildings and grounds. The building entrances all have magnetically secure door entrances with a safe holding area. Access is monitored by a camera and intercom system. Security cameras are located internally and externally for all District property. Each building also has direct access to 911 services. The School District requires that all classroom doors are locked at all times. Employees wear identification badges at all times. Each building conducts drills for emergencies such as fire, severe weather, and evacuation. The district also has secure off-site locations for evacuations with detailed plans, responsibilities for staff, and coordination with local authorities. Bullying and safety concerns can be reported anonymously via the District website. The bullying and safety portals are listed on the main page of the website under the Quick Links section. Also, Avonworth has a policy and procedures that governs clearances for adults working with students in various capacities. Five years ago, the District established a safety/security committee with representation of parents, teachers, nurses, administration, maintenance, athletic director, transportation, police, fire, and EMT. Mr. Mike Hall, Middle School Principal, is the Chair of the Committee. The committee usually meets the third Wednesday of the month at 9:00 a.m. in the Administration Board Room. The committee discusses thoughts and ideas of how to enhance a safe school environment for all stakeholders. It is the goal of our district that every student feels a sense of belonging in our schools. The building principals continually work with staff to ensure that various strategies and methods are used to build an inclusive environment where students feel valued. In addition, each of our school buildings have counseling services in place that provide a variety of programs including classroom lessons, individual, and small group counseling. Additionally, the High School operates a peer mentoring program that matches up high school students with middle school students who may be struggling with attendance, friendships, and academics. Avonworth Middle School has a student advisory program to foster meaningful relationships between students and adults in the school. The District recognizes that mental health issues and drug and alcohol abuse are major health threats for students and also are significant barriers to learning. Avonworth utilizes the Pennsylvania Student Assistance Program (SAP) and has trained teams in all of its school buildings. These teams use a defined process to ensure that students and families have access to the support that they need. Here is a SAP resource. The District also has liaison partnerships with HSAO (Human Services Administration Organization), Mercy Behavioral Health on-site mental health services, as well as partnerships with Department of Human Services and the Office of Behavioral Health. The District educates our students to use technology appropriately. Avonworth’s schools are Common Sense Media certified based on the focus on digital citizenship with the instructional program. Common Sense Media has been a great partner to help keep our students safe online. In addition, the District Technology Director, Mr. Brandon Gary has particular expertise in the area of cyber security. Mr. Gary and the IT team continually monitor the network and management system for multiple dangers. In 2018, the General Assembly passed Act 44 mandating the establishment and use of the “Safe2Say Something”(S2SS) anonymous reporting system by every Pennsylvania school entity by January 14, 2019. 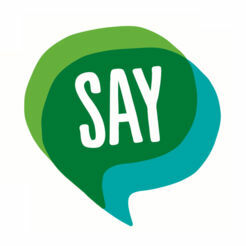 All students, parents, and school personnel are encouraged to download the Safe2Say app, which will be used to report a tip. Here is an image of the app to help you locate it in your app store. The District conducts many trainings for staff for a variety of situations to ensure the safety of our students and staff. NARCAN - Opioid overdose treatment.